What a delight! Car Show Mag surprised us and shot an extraordinary photo review of Pinup Pole Show’s May event in North Hollywood. Check out the full photography set at Car Show Mag. 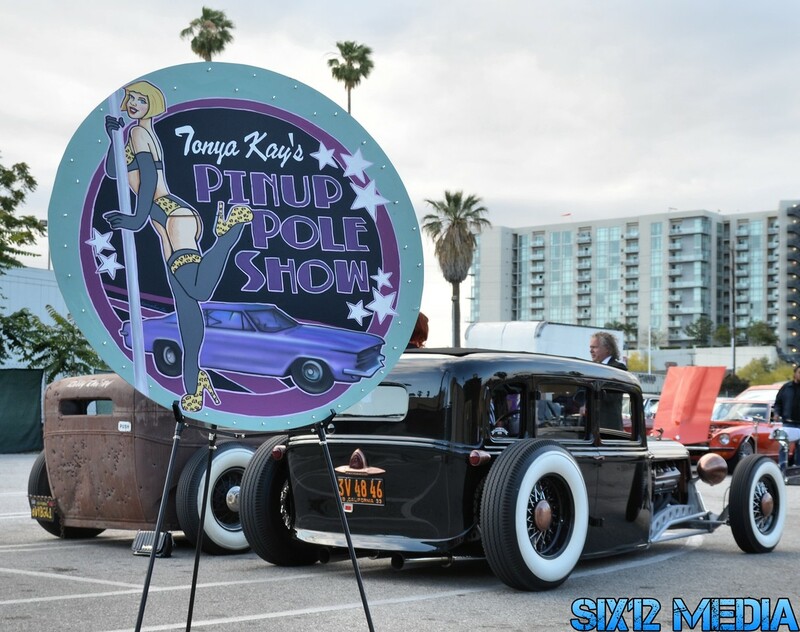 “Pin up girls, 50’s cars, and live rockabilly music, followed by pole dancers in a retro-burlesque show. That’s the Pinup Pole Show. The car show starts in the afternoon, with pinup models posing for photos with the cars and live rockabilly music by The Centuries. As the sun sets, everyone heads in the Federal Bar for the 70 minute burlesque show headlined by host Tonya Kay and starring bombshell pole dancers & retro-burlesque headliners.